Getting nature into your life can be a very laid-back affair. I woke at 4.25am today to hear blackbirds singing. What a brilliant way to start my series of blogposts for the Wildlife Trusts’ 30 Days Wild 2017. 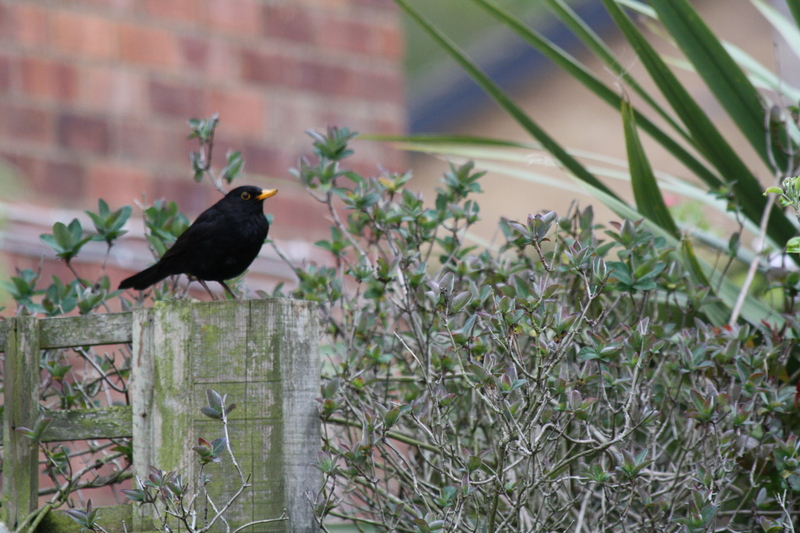 A male blackbird which has been raising a family in the garden. 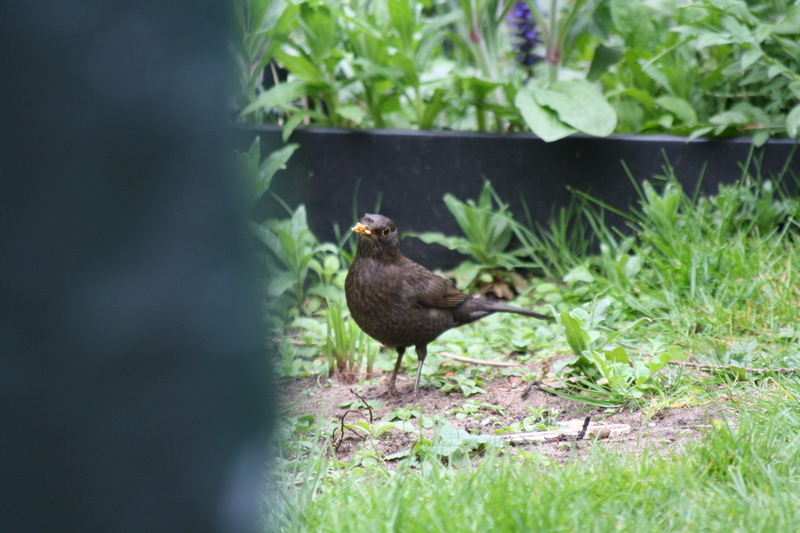 The female blackbird with food for her young. I continued to relax in bed and eventually heard some phrases from a song thrush – indeed, at one stage, it was so loud it sounded like the bird must be standing on the holly bushes under the window. I must look out for a song thrush to appear in the back garden; we don’t see them very often and when they do visit, the blackbirds tend to drive them away. This morning, there was also a burst of gull call – the housing estate in Reffley, King’s Lynn, where we live, is sandwiched between the River Great Ouse and an internationally important chalk stream, the River Gaywood – so there are often gulls about. I also caught a squeaky call which reminded me of a young gull pestering its parents for food. I also heard jackdaws calling, a collared dove and a chaffinch. There are quite a few different species of birds and other wildlife to be found on the estate, which has several areas of green space, a small wood of 8.4 acres and a larger one of 130 acres which were once joined together, a reservoir and floodplain. My main image shows the male blackbird which, since the winter, has kept an eye out for whenever we’ve put crumbs out in the back garden. He must have been watching and waiting for us to come out of the back door as he often arrived almost immediately and would occasionally hop up quite close if we kept still. This has carried on fairly frequently while he and his partner have been raising their families – they’re on their third brood – this season. Occasionally, the female rushes to collect the handouts, too, although she seems a little more nervous. My first few blogposts for this season’s 30 Days Wild are a bit delayed, I’m afraid, due to technological problems and a busy week-end.